Major reforms are needed to ensure that terrorists don't get visas to enter the United States, the chairman and ranking member of the Senate Homeland Security and Governmental Affairs Committee agree. Sens. Joseph Lieberman (I-Conn.) and Susan Collins (R-Maine) say a new Government Accountability Office report shows that the Visa Security Program (VSP) is plagued by serious problems ranging from staffing shortages to inter-agency bickering over the degree of association with a terrorist that would make a visa applicant ineligible to enter the United States. The VSP, which is run by Immigration and Customs Enforcement, places ICE agents in U.S. consular posts to review visa applications. In an April 21 statement, both lawmakers said the GAO findings spotlight the need for major reforms. "I am particularly upset by GAO's conclusion that the departments of Homeland Security and State cannot agree on grounds to deny a visa to an applicant. Any association with terrorism should be enough to stop a visa applicant from coming to our country," Lieberman said. "This GAO report paints a very disappointing and troubling picture of the Visa Security Program, which is such an important part of our strategy to keep terrorists from entering the United States." Effective operation of the VSP "is a critical aspect of the security system that is intended to keep terrorists from entering our country. That is why the problems uncovered by GAO are so troubling," Collins said. "VSP must implement standard operating procedures to help DHS and State Department agents resolve questions about who should - and who shouldn't - receive a visa to come to our country." The senators have not commented about the Department of Homeland Security's decision this week to drop the National Security Entry-Exit Registration System (NSEERS) which required registration of citizens entering the United States from high-risk countries like Iran, Iraq, Libya, Sudan and Syria. A DHS spokesman said new technology rendered the program costly and outdated. Lieberman and Collins requested the study following the attempted Christmas Day 2009 bombing of Northwest Airlines Flight 253 as it flew from Amsterdam to Detroit. The would-be bomber, Umar Farouk Abdulmutallab, is a Nigerian man who had obtained a visa to enter the United States. In August 2009, Abdulmutallab used the valid U.S. visa to enter Yemen, where he trained with al-Qaida in the Arabian Peninsula. Abdulmutallab was able to retain the visa despite his presence on a U.S. terrorism watch list. He made his way to Amsterdam, where he used the U.S. visa to board the Northwest flight. No one was injured when the explosives sewn into Abdulmutallab's underwear failed to detonate. · Efforts to keep foreign terrorists from obtaining U.S. visas are being undermined by interagency conflict between ICE and State Department officials. "Some posts we visited had experienced tension between VSP agents and other law enforcement agency officials at post," the report said. "For example, at one post, the VSP agents and DS [State Department Bureau of Diplomatic Security agents] disagreed about whether the VSP agent had authority and responsibility to conduct investigations locally. Consular officials at another post wanted a DS officer to serve as a liaison between VSP and the consular section." Consular officials reported that tensions between VSP and DS officials at one site sometimes prevented the consular section from receiving information in a timely manner. At another post, the consular chief said that "consular officials and VSP agents rarely interacted with each other and that visa applications sometimes 'disappeared' in the VSP unit. Consular officials at this post stated they did not understand the VSP's mission." · The VSP has "not consistently located" units at numerous diplomatic posts identified as being at "highest risk" of processing visas from terrorists. Also, of the 20 posts defined as highest risk by the State Department and ICE, just nine have a VSP unit. ICE officials claim they have addressed the problem using the "security advisory opinion" process (SAO), which is initiated when a consular officer requests one or a visa applicant meets certain predefined criteria. While this process can mitigate some of the risk at locations with a VSP unit, "it does not ensure the breadth of coverage provided by VSP agents through the routine screening and vetting of applicants who are not subjected to the SAO process," the report said. "ICE's expansion plan does not identify ways in which to address this lack of VSP coverage at the remaining high-risk posts it identified." · Staffing shortages and the use of temporary duty agents "have caused difficulties at some posts." In Riyadh, Saudi Arabia, for example, consular and VSP officials said the reliance on temporary duty agents affected continuity of operations. One consular official said there was a "severe lack of coverage" for consular operations in Riyadh because the VSP unit was not fully staffed. In Jeddah and Dhahran, Saudi Arabia, lack of VSP staff created delays and forced officers to re-adjudicate cases. ICE officials said the staff shortages in Saudi Arabia are exacerbated by the agency's failure to provide incentives for employees to work at hardship posts. · ICE lacks a language training program and has not established it as a requirement for VSP agents. This is due in part to budgetary constraints: Because some VSP agents serve just one- or two-year tours, agency officials are reluctant to invest in language training. One agent who was trained at the start of his deployment told GAO that language skills were "critical" because he could conduct interviews and interact with local law enforcement officials. 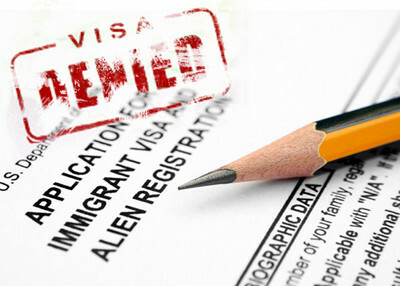 · ICE "remains unable to accurately measure the performance of the Visa Security Program." ICE has failed to produce reports "identifying the progress made toward achieving VSP objectives" which include identifying "not yet known threats to homeland security" and being able to "identify and counteract threats before they reach the United States." The value of a VSP tracking system has been "significantly limited" by "inconsistent use." ICE officials acknowledged that at many diplomatic posts the problem resulted from frequent turnover of VSP agents.